A former Jewish town has become a launching pad for Grad rocket attacks on southern Israel. The ruins of a former Jewish town in northern Gaza on Wednesday night became the launching pad for Grad Katyusha attacks on southern Israel. Military sources said three missiles fired by Gaza terrorists were most likely launched from the ruins of the former secular Jewish village of Dugit. The community, a small seaside fishing, marine rescue and tourism village, was located in the northernmost part of the Jewish area of Gaza. It was closest to the shore of the Mediterranean Sea in a bloc of Jewish settlements that included Elei Sinai and Nisanit. Dugit was technically under the municipal authority of the Hof Aza Regional Council, and not physically part of the Gush Katif bloc, where most of the other Jewish communities were located. The missiles fired Wednesday night by Gaza terrorists exploded in the coastal city of Ashdod and the community of Bnei Aish shortly before midnight. All landed in open areas. No one was physically injured, but a number of people suffered from shock and severe anxiety. The Color Red air raid alert siren sounded in Yavne, Gedera, Ashdod, Rehovot and Nes Tziona -- the first time air raid sirens had activated in the latter two cities. Israeli Air Force fighter pilots retaliated within hours, targeting three terrorist activity sites in central Gaza, and destroying a weapons storage facility in the southern part of the region. Direct hits were confirmed, and all Israeli personnel returned to base unharmed. A petition to Israel's Supreme Court by a Gaza family that attempted to sue the State of Israel over past collateral damage was denied Thursday morning. 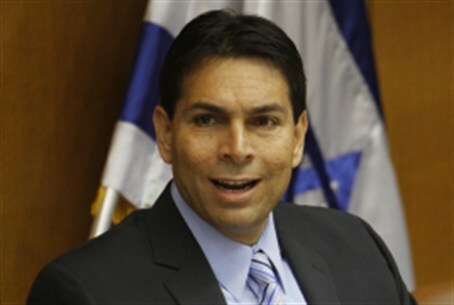 Deputy Knesset Chairman MK Danny Danon (Likud) warned Thursday morning that the time has come to set the "red line" for terrorists launching rocket attacks on Israel from Gaza. "After the generous Shalit deal, the time has come for us to deal with the Hamas snakes in Gaza," he said in a statement. "The Hamas [terrorist organization] no longer has its hostage, and we must now set a red line to prevent the residents of southern Israel from being the next Hamas hostages."